A&E Network hits the road with rock legend Ozzy Osbourne, and his adventure-loving son, Jack, as they travel across America on the road trip of a lifetime in season two of "Ozzy & Jack's World Detour". Ten one-hour episodes will chronicle the cross-country journey beginning Wednesday, November 8 at 10 p.m. ET/PT on A&E. Growing up the son of a music legend, Jack missed his father who was often away from home on tour. Now they are making up for lost time with the ultimate father-and-son bonding experience, an extreme road trip in a vintage 1973 GMC camper — the same model that Ozzy's band, BLACK SABBATH, used when they first began touring in America. This season, Ozzy and Jack travel thousands of miles across the country from Florida to Alaska and experience everything from unique local attractions to quintessential American pastimes. Whether they are deep sea fishing in Key West, experiencing a NASCAR race in Texas, camping with Jack's daughter in Sedona, dogsledding in Alaska, or traveling with Sharon and the family to Hawaii, Ozzy and Jack approach every adventure with humor, heart, and rock n' roll spirit. Ozzy had not starred in a regularly scheduled TV series since the MTV reality show "The Osbournes" ended a four-season run in 2005. A variety show called "Osbournes Reloaded" ended after one episode on Fox in 2009. "Ozzy & Jack's World Detour" is produced for A&E Network by Osbourne Media with T Group Productions. Jack Osbourne and Peter Glowski are executive producers for Osbourne Media. For T Group Productions, Jenny Daly, Rob Lobl and R. Greg Johnston serve as executive producers. Elaine Frontain Bryant, Shelly Tatro and Sean Gottlieb serve as executive producers for A&E Network. 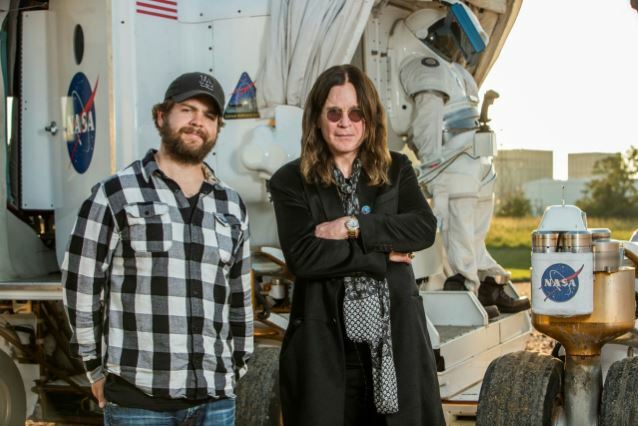 A&E Network holds worldwide distribution rights for "Ozzy & Jack's World Detour".